Author: Sushrut Babhulkar , Ashok K. Shyam [2,3]. 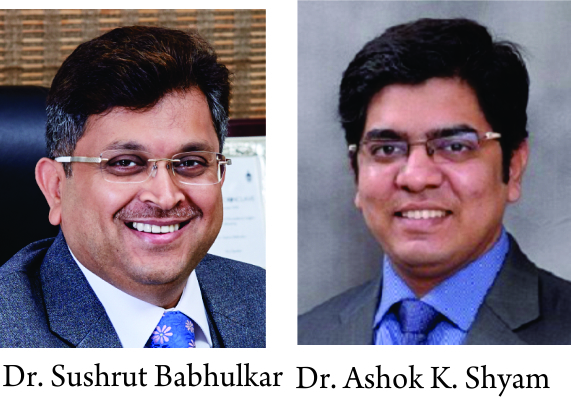 Sancheti Institute for Orthopaedics & Rehabilitation, Pune, India. 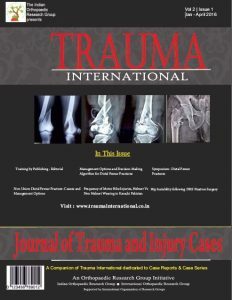 As a part of Traumacon, over a decade, we have closely observed the changing paradigm of Trauma practice and perception and importance of means of trauma education and learning. A recent Editorial in Journal of Orthopaedic Case reports pointed toward this ongoing struggle between Evidence based medicine and Experience based medicine. Thakkar et al pointed towards this effect being more pronounced in countries like India . We too have seen this development in major trauma conferences across the country. This conflict between evidence based medicine and experience based medicine basically arises due to misinterpretation or narrow vision perception of Evidence. Evidence based medicine does not equate to published literature and journal articles only. It has to be clearly understood that EBM is an amalgamation of Literature, patient factors and surgeon factors and all three pillars are equally important. Technically there is no conflict between the two, the conflict only exists in our varied perception of both. EBM urges us to use the best of Literature, the best of our clinical experience and base our decision making taking into account the patient factors. There is no easy way to do this, but it complete relies on our Experience with Evidence based medicine.